Remember hearing the music of the ice cream man as he wound his way through your neighborhood in the summer? I sure do! My favorite ice cream treat as a kid was a Creamsicle (known to some as a Dreamsicle). 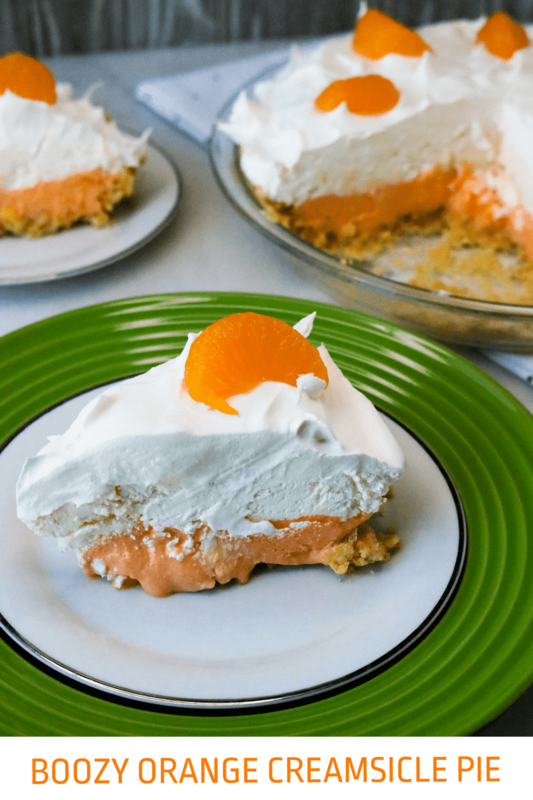 The perfect combination of orange and vanilla, Orange Creamsicle Pie is that classic taste of summer. So, why not take it a step further and add an adult twist? 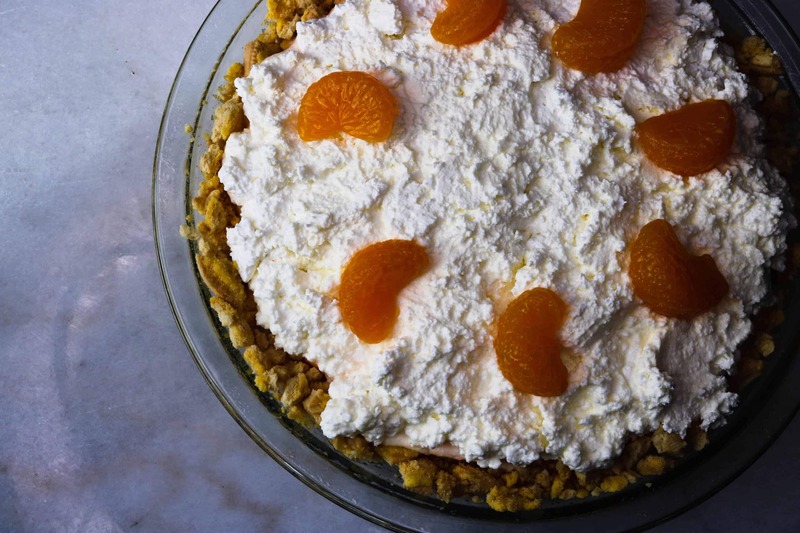 The result is this Boozy Orange Creamsicle Pie recipe. If you’re serving an all-adult crowd, I highly recommend adding the vanilla vodka for a fun an festive spin on this favorite childhood flavor. But, for those who prefer a non-alcoholic version, you can simply leave the vodka out. What is the Difference between a Creamsicle and a Dreamsicle? Thinking back on those Creamsicle-filled childhood summers got me wondering if there really is a difference between a Creamsicle and a Dreamsicle. Turns out, there is. A Creamsicle is filled with vanilla ice cream and coated with flavored ice. And, a Dreamsicle is filled with vanilla ice milk. As a kid, I can’t remember liking one more than the other, since getting any treat from the ice cream man was special. The adult version of me would be a little more impressed with the ice cream filling, but to be honest, on a hot day I’d happily enjoy either one. 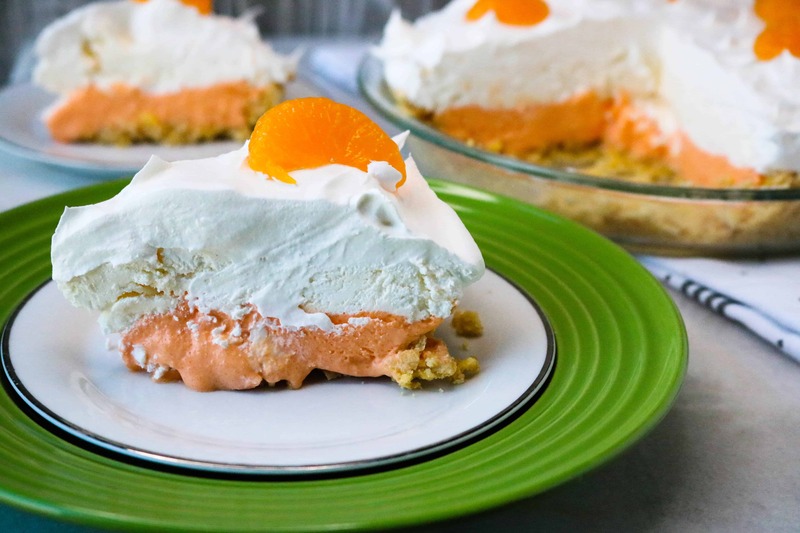 If you’re craving even more bold orange flavor, try this Easy Orange Fluff Dessert. Another fun and festive adults-only treat, Boozy Frozen Strawberry Daiquiri Pie is your favorite frozen cocktail, served on a plate! No-Bake Chocolate Cheesecake for Two is a decadent, delicious dessert that’s so easy to make. Step #1: Crush cookies by putting them in a food processor to reach desired consistency. Step #2:Lightly spray a pie dish with non-stick cooking spray. Step #3: Transfer crushed cookies to pie plate and add melted butter. Mix together and press the crushed cookies down into the pie plate and up along the edges. 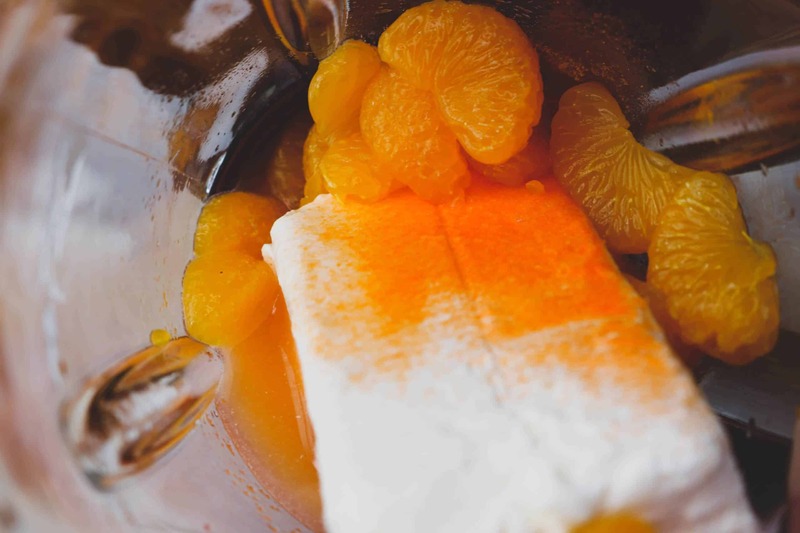 Step #4: Mix 8 ounces of cream cheese smooth with vodka, half the oranges, ¼ cup lemon juice, and orange gelatin together in a blender. Step #5: Spread mixture out onto pie crust. Step #6: Freeze for 20-30 minutes before adding the next layer. Step #7: Mix remaining 8 ounces of cream cheese with 1 tablespoon of lemon juice, the orange extract, and 8 ounces whipped cream, until smooth. 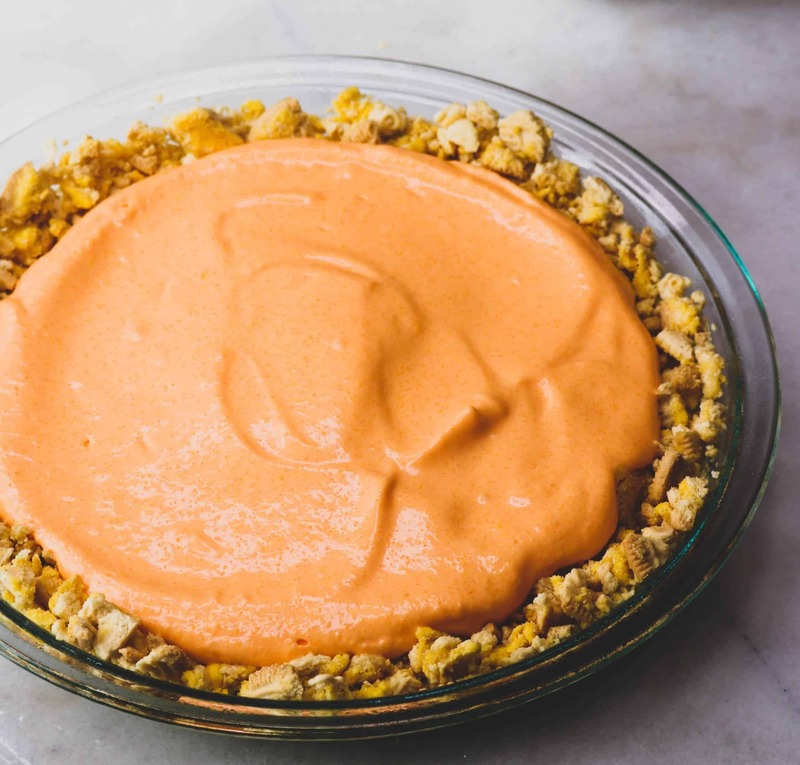 Step #8: Spread over first layer of pie, and top with half of the remaining oranges. Step #9: Add remaining whipped topping and spread to the edges of the pie. Top with remaining oranges in a decorative fashion. Step #10: Freeze for 4-6 hours before serving. Step #11: Slice, serve, and enjoy! 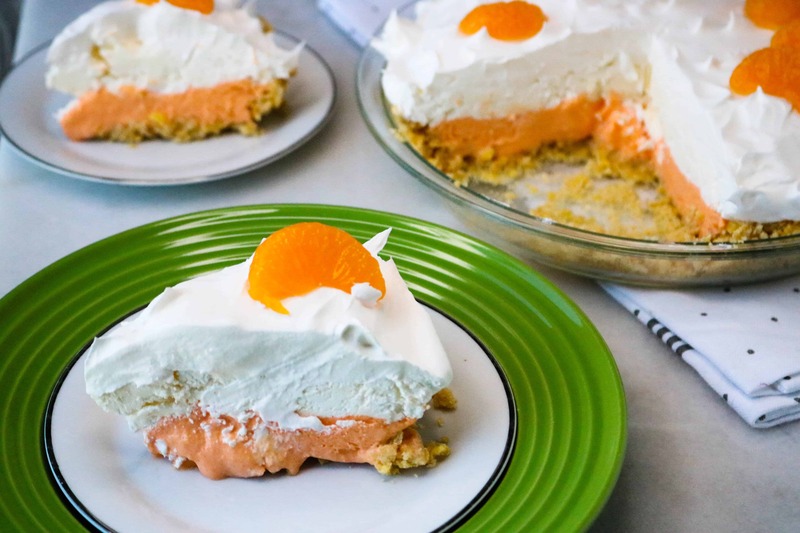 Boozy Orange Creamsicle Pie is a delicious adults-only twist on a classic childhood frozen treat. Crush cookies by putting them in a food processor to reach desired consistency. Lightly spray a pie dish with non-stick cooking spray. Transfer crushed cookies to pie plate and add melted butter. 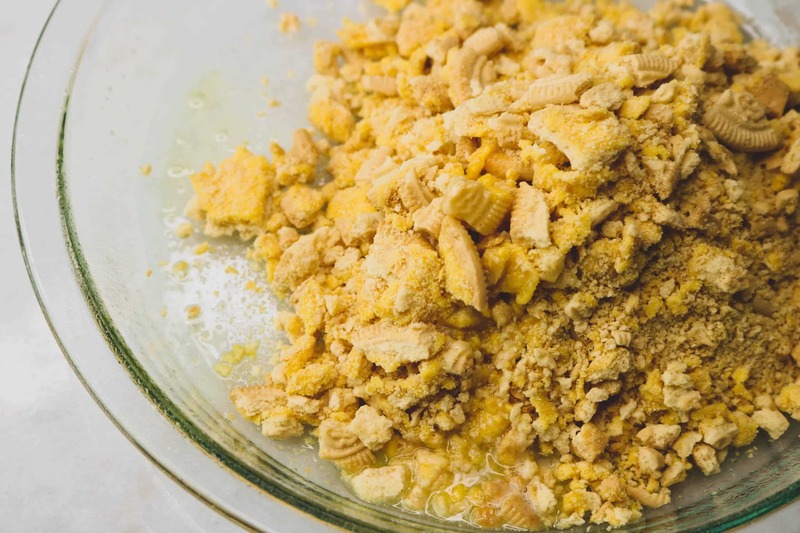 Mix together and press the crushed cookies down into the pie plate and up along the edges. Mix 8 ounces of cream cheese smooth with vodka, half the oranges, ¼ cup lemon juice, and orange gelatin together in a blender. Spread mixture out onto pie crust. Freeze for 20-30 minutes before adding the next layer. 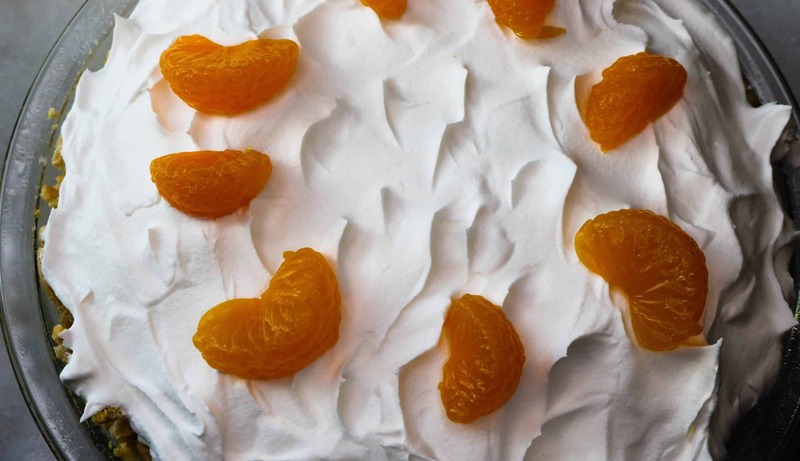 Mix together 8 ounces of cream cheese with 1 tablespoon of lemon juice, orange extract and 8 ounces whipped cream until smooth. Spread over first layer of pie. Top with half of the remaining oranges. Add remaining whipped topping and spread to the edges of the pie. Top with remaining oranges in a decorative fashion. Freeze for 4-6 hours before serving.